•	What is the BSAVA Library? •	Who can access the BSAVA Library? •	How do I find the content I need? •	How can I gain access to BSAVA Library content? •	Do I have to download the content I purchase? •	I have already bought the print book, why can't I access the online version? •	If I buy a manual or chapter will I automatically have access to future editions? •	Can I buy a set of manuals? •	Can I get access to everything in the BSAVA Library? •	Can I get access for everyone in my practice? •	Where do I find content that I have marked as favourite? •	Can I save my searches and receive content alerts? •	What do CrossRef and Google Scholar links on references mean? •	How do I view my purchases? •	How often is BSAVA Library content updated? •	How does the BSAVA Library relate to BSAVA.com? •	How do I get help with my BSAVA membership? •	Where do I get help if I am an author or have an idea for a publication? •	Where do I get help if I am interested in carrying out clinical research? •	What about access for university and other academic libraries? •	How do I get more help or provide feedback about the BSAVA Library? What is the BSAVA Library? BSAVA publishes a world-renowned series of manuals that provide a comprehensive dataset of chapters covering small animal clinical practice. Many of the chapters and books cross-refer to each other and the content of each manual is designed in the context of other existing titles in the series. However, unless you possess the full set and an encyclopedic knowledge of the contents this inter-relatedness may not be apparent. What if all the manual chapters – and all the rest of BSAVA’s published output – could be browsed and searched in one place? The BSAVA Library provides this resource - BSAVA’s publications are available at the granularity of chapter, article, drug entry, client leaflet, congress lecture summary and so on. A search will show everything that is relevant to your enquiry – whether from a manual, a Companion article or a Congress lecture. Each item has been ‘tagged’ where appropriate to help you easily find material on particular clinical topics or animals, or content that is aimed at a particular audience such as practice managers or has a focus such as professional and personal development. The Library has been designed to be simple and intuitive and is ‘responsive’ so that it will work easily on mobile devices as well as computers. Who can access the BSAVA Library? The BSAVA Library is intended for veterinary professionals and students. Most resources are aimed at the veterinarian in practice but they are also used by specialists, veterinary students, veterinary nurses, veterinary nursing students and practice staff. How do I find the content I need? Nowadays most people are familiar with using quick search boxes - once you have your initial search results you can filter your results further to narrow them, for example, to see just book chapters, or Companion articles, or Formulary drug entries, or results relating to cats, or reptiles, or hamsters. If you like to create more complex searches yourself, the advanced search tool enables you to look across a number of variables. On the home page, we have created a section of clinical topics, and ‘resources for’ which can be used to quickly find information on a general topic. Or, you can use the simple drop down menu along the top to find our publications. In a world of information overload, there is increasing recognition of the value of curating digital resources to help people find authoritative and genuinely useful content to help with their queries. The collections page provides links to content on topical subjects or problem areas for small animal practice. How can I gain access to BSAVA Library content? Anyone can browse and search the content, read abstracts and view free content (indicated by a green ‘free content’ flag). BSAVA members can access many of the resources in the library as part of their membership benefits. See the member benefits page in the library for more details. Members also receive a discount on the purchase of books, chapters and BSAVA Library passes. If you are a member, you need to login using your usual BSAVA website login details to access these resources and discounts. If you do not have a login, please register with the BSAVA website. 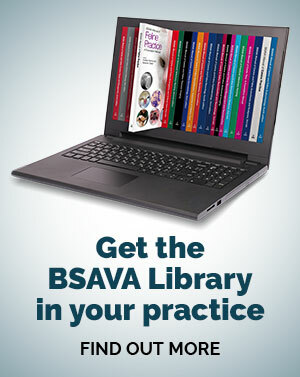 Members will only need to log in once to gain access to their member benefit resources on both www.bsava.com and the new BSAVA Library. Access to member benefits and discounts will last as long as you remain a member. If you are not a member of BSAVA, you can find out about the benefits of joining via our membership page on the BSAVA website. Alternatively, you can purchase access to manuals, chapters, congress lectures (with their podcasts) or the full congress proceedings. You can also purchase a one-year subscription to the formulary including our client information leaflets for certain drug products. You will still need to register in order to make a purchase and access your purchased content. However, the most cost-effective way for veterinarians to access our resources is to join BSAVA. If all you need is one chapter, you can buy it. However, a more cost effective option is to purchase a BSAVA Library pass, enabling you to download items from lots of different publications. Access to purchased content is ongoing, apart from the Formulary which is updated regularly and is therefore available as an annual subscription. Do I have to download the content I purchase? No, you have ongoing access to the online version of your purchased content, so there is no need to download PDFs unless you wish to read them offline. Some content is available as PDF only and therefore requires download - other content is available online only, but most is available in both formats. Please note that anything you download from the library is strictly for your personal use only - when you download a PDF it will be watermarked with your account name and IP address. I have already bought the print book, why can't I access the online version? Unfortunately it is impractical to provide access to online versions to everyone who has previously bought print manuals. However, newly published books include codes in the printed version that provides a discount on access to the online version. If I buy a manual or chapter will I automatically have access to future editions? No, a purchase will give you ongoing access to the edition of the book or chapter available at the time of purchase. You will have access to any updates made to THAT edition, but if a new edition is published in the future you will need to make a new purchase. This is the same situation as for printed books and reflects the costs that go into publishing a new edition. We always endeavour to give notice when a new edition is in production. Can I buy a set of manuals? Yes, we have a number of manual packs set up on our collections page that include a discount. Please note that your access will include the manuals that are in the pack at the point of purchase - if new editions or new titles are added later, you will need to purchase them separately. Can I get access to everything in the BSAVA Library? 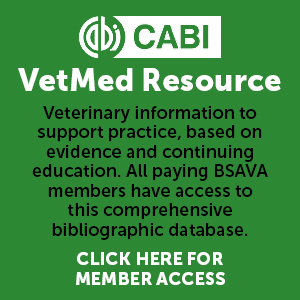 If you are a BSAVA member you already have access to virtually everything in the Library, except for the manuals and other books that are not member benefits. To gain access to the manuals you could purchase the manual pack and then buy future new titles as they are published. Alternatively, purchase a BSAVA Library pass and you can access any chapter you need. Once the Pass has been used up, simply purchase another. We are happy to consider different purchasing options so please contact us with your feedback. Can I get access for everyone in my practice? A number of options are available to provide access to all or selected manuals for your practice staff. See our practices page for more information or contact us to discuss options for a practice or group level account. Where do I find content that I have marked as favourite? Can I save my searches and receive content alerts? Yes, when you carry out a search you can click ‘save this search’ using the tools box on the right. You can set up an alert that will send you an email when new content is added that matches your search. BSAVA members can also set up a table of contents alert that will send an email when each new issue of Companion is published online. You can change these settings in the ‘My search alerts section of ‘My BSAVA Library preferences’ (login required). What do CrossRef and Google Scholar links on references mean? Some references include a link to CrossRef - clicking this link will take you to the article on the publisher's website, although whether you have access to the full text of that article will depend on whether the article is available as open access or whether you or your institution has a subscription to that content. Most journal articles are CrossRef-linked but this may not apply to books or older articles. Where a Google Scholar link is shown, clicking the link will take you to the reference in Google Scholar. The link will be shown regardless of whether the reference is indexed in Google Scholar, so you may often find that Google Scholar cannot find the article (especially in the case of books and older content). These links are outside the control of the BSAVA Library. You can use the ‘My BSAVA Library content’ section of ‘My BSAVA Library preferences’ to view your purchased content and orders, and check how many downloads are left on your BSAVA Library pass (login required). How often is BSAVA Library content updated? New titles will be added to the library as they are published. We will update chapters or other material when we become aware of errors or key changes, and we will review and extend resources such as client information leaflets and scientific information where we can. If you have access to a chapter or publication you will have access to any updates, unless they are part of a completely new edition of the publication. How does the BSAVA Library relate to BSAVA.com? The BSAVA website remains the Association’s shop window. This is where to join BSAVA, check your account via MyBSAVA, get the latest news and find out about Congress and CPD events and courses. Members will continue to access many of their benefits from the BSAVA website. See our member benefits page for more details. How do I get help with my BSAVA membership? If your membership enquiry does not specifically relate to the BSAVA Library, you may find the help you need on the BSAVA website or by contacting the Membership Services team at BSAVA. Where do I get help if I am an author or have an idea for a publication? Most ideas for new publications and editions are generated by the BSAVA’s Publications Committee and commissioned by us, however proposals for new books are welcomed. More information and resources for those interested in publishing their work are available on our authors page. Visit our Companion page if you are interested in submitting a Clinical Conundrum article. Where do I get help if I am interested in carrying out clinical research? We have collected together some information and resources for those interested in carrying out research projects on our researchers page. What about access for university and other academic libraries? Please contact us or visit the librarians page for purchasing options. How do I get more help or provide feedback about the BSAVA Library? If this page does not answer your query, or you would like to send us feedback or suggestions, please contact us at [email protected]. Please see the contact us page for more details.